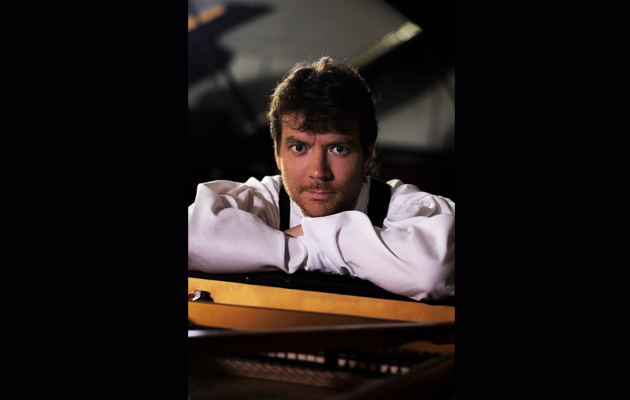 My guest this week is renowned concert pianist, Calvin Jones. Calvin is also a homeschooling Dad, composer, orchestrator and producer. This is the final show in my short series about careers and I know you’ll be as delighted as I am with this remarkable artist. In the words of one critic, “If brilliant piano performance could be likened to a painting, Calvin Jones routinely executes a ‘musical Mona Lisa.’” Aggressively contemplative, Calvin is quite a performer. Highly accessible, Calvin’s music incorporates classical and popular themes and his performances seem to strip away the action of the piano, caressing the strings. Known for his hit “Whitewater Chopped Sticks” which propelled Teresa Scanlan to win the 2011 Miss America crown and his subsequent soundtrack for “2016: Obama’s America”, the 2nd highest grossing documentary in history, Calvin has enjoyed a varied musical career. His five releases “Through High Places” (1987), “Coming Home” (1990), “Uncharted Waters” (1993), “Acoustic Passion” (2005) and “Dueling Pianos” (2012) released on Sony Records have won him international acclaim. We spoke from Ukraine where Calvin is currently touring Eurasia performing with Philharmonics to delighted audiences everywhere while continuing to produce soundtracks and prepare his new orchestral release. Join us this Friday with a cup of tea and I will include a sampling of his music. Let me engage you with the latest and greatest from the household of the McNenys where we are thoroughly enjoying pastoral life, windy days every day, and still homeschooling! Are you ready?